I have not loaded these yet but after looking at them I have no reason to believe that they will not be just as accurate with no leading as my .32 caliber bullets from Badman Bullets that are the best I have found and at a great price for this quality. Excellent very good products accurate weight very clean, I have loaded over 2000 of these and they are excellent. Keep up the good work. these bullets are very nice looking and they shoot great. Great bullet. Will be ordering more. 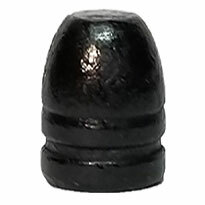 Extremely accurate bullet. Will be ordering again. Patrick was extremely helpful with advice on this bullet. I use the 454 bullets for my Colt SAA and the 452 for my 1911 and Remington 1858 conversion. These bullets are exceptional. 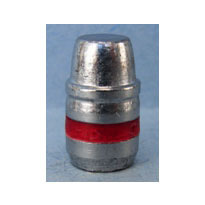 Their uniformity is outstanding with never a need to cull out bullets with voids or wrinkles. 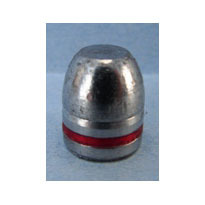 I use these bullets for practice and matches. I purchased 45cal. 200gr. bullets for my Ruger Vaquero. These are a good looking, quality bullet. The lube is in the lube ring and not all chipped out when I recieved them. They shot out of my Vaquero great. Thank You Badman Bullets, You have a lifetime customer because of the quality bullet you manufacture. This is my first time dealing with Badman Bullets but it definitely won't be the last. I got the 25 rd sample pack and was so impressed that I ordered a thousand more. They are well cast, extremely uniform and best of all very accurate. I've gone through 400 in the last week and a half so it looks like I will be ordering more soon. Since I started shooting CAS about a year ago i have used four or five different manufacturers bullets. After the quick shipment of the sample pacs, loading then testing the Badman bullets, I'm done using any other lead bullet. 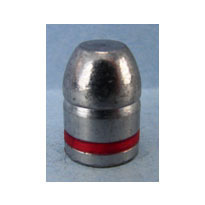 The bullets are priced competitively, exceptional quality, quick shipping, and exceptional customer communication. Thanks Badman Bullets. Bullets feed great and shoot good.